She sits down on the couch in a small apartment as the HomePod begins to play ’Til It’s Over.’ As she starts to relax and sway to the music, she discovers she can extend her apartment with simple hand gestures. The remainder of the video is an energetic and colorful dance routine that shows off FKA twigs’ talent as she moves around the apartment extending the walls. 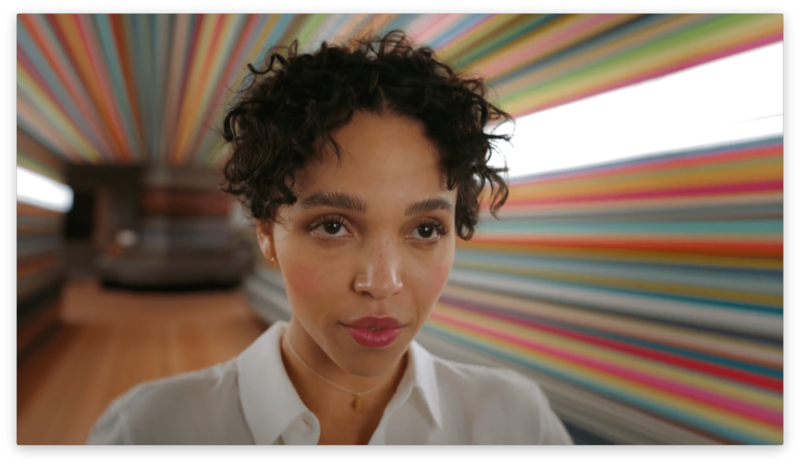 The spot ends with FKA twigs opening her eyes as she lies on the couch apparently waking from a dream. Video can’t capture the sound quality of the HomePod that Apple points to as one of the device’s main selling features. Instead, Jonze captures the convenience of asking Siri to play something you’d like. Siri has serious limitations on the HomePod, but controlling Apple Music works well and is a strength that I’m not surprised to see Apple highlight.